Seedlings is a weekly circle for caregivers with babies birth through 15 months however we will focus on topics and development from 4 months - 12 months. Some babies aren't quite ready for the toddler group and they are welcome to continue in this group until they feel confident to make the leap. There will always be a baby scale, gliders and a safe space to share. We do not allow snacks in our play room however milk is obviously always okay. Please do your best not to share your sniffles and other symptoms with us. The general rule of thumb is 24 hours symptom free, thank you very much!!! Please register to save your spot as we try to keep the intimacy of the group by hosting only 10 families at a time. To find out how to be a member, check out our home page or give us a call! New families are welcome to try any of our groups 1 time for free. 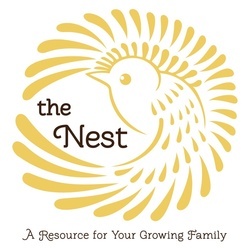 To sign up for a demo class, please either call us at 530-NEST-411 or email thenestfamilyresource@gmail.com Do not register here for demos, thank you!